Investing in commercial real estate can be a nice way to diversify your investments, and get a new source of passive income. There are however a few things to be aware of before you start investing. If you already own your business, you would be like a tenant accessing home ownership: you stop paying rent to someone and start building equity for yourself. That is a great way to get a new income for your business, and you are pretty sure the rent will be paid, since you will be the one paying it. If you invest as an individual, and own your business through your company, you should do your homework regarding taxes, to make sure your tax burden is as low as possible. If you own your business, you can also buy a little more than what you need, and start letting part of the property. If your business grows, you won’t need to move out, you can simply give notice to your tenant, and avoid having to warn all your customers or worry about whether they would follow you too. Make sure you are comfortable with the monthly repayments before you buy anything, but if you can afford it, that is a great opportunity to offset some of the running costs of your business thanks to a tenant or several. For example, if you only need one office and a meeting room, you could buy a place with half a dozen office, rent the meeting room by the hour and share a secretary with the other tenants, everyone is cutting costs and you may even be able to get your own office for free. Again, should you grow in the future, you could occupy the other office as needed, or put them back on the market when you downsize your operations. Investing in commercial real estate as a simple landlord renting offices or warehouses can allow you to buy a simple loft in need of improvement, and since every tenant is going to want different renovations (a restaurant will not decorate the same way a grocery store will), you can let them put the place back in shape and enjoy the ride as you build more equity. Improvements will be tax deductible as part of your business. You should make sure you can afford them before you buy if they are needed before you can operate. Browsing online and asking for quotes will help you figure out how much a new heater or hardwood floor would cost. A great resource is HardwoodBargains.com. If you are renting your shop to a business, and there is an economic crisis, the business can shut down, or the office owner can lay off most of his staff and operate his business from home. Businesses are more vulnerable than residential real estate, because people will always need a place to live, while offices can be dismantled or even sent abroad. 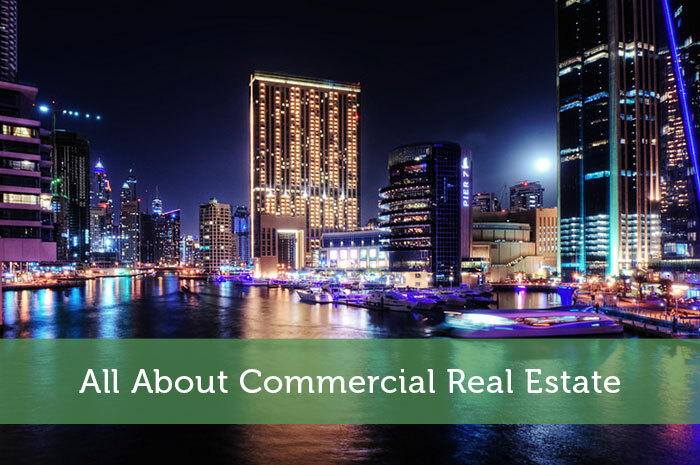 That is the main drawback of investing in commercial real estate, and this can be mostly avoided by doing proper research before investing, and choosing a prime location that has a vibrant rental market. Like with foreclosures, you are also vulnerable if businesses near you shut down, and the mall of commercial zone where you invested is suddenly not that attractive anymore. Again, proper research is a must before you do anything. Commercial real estate is a great way to make money. But I would look at it more as a full-time, active role as opposed to the more passive approach to real estate that many residential investors seek. Typically, the costs are greater, the capital required is greater, and the management activities are greater than residential real estate. But if you have the resources, it can be quite lucrative.